No-one has inspired me as much as the fab four. The Best of the Best. And as each year passes, they solidify themselves as a band that pushed the envelope of how we make albums to this day. And yes, I said ALBUMS. 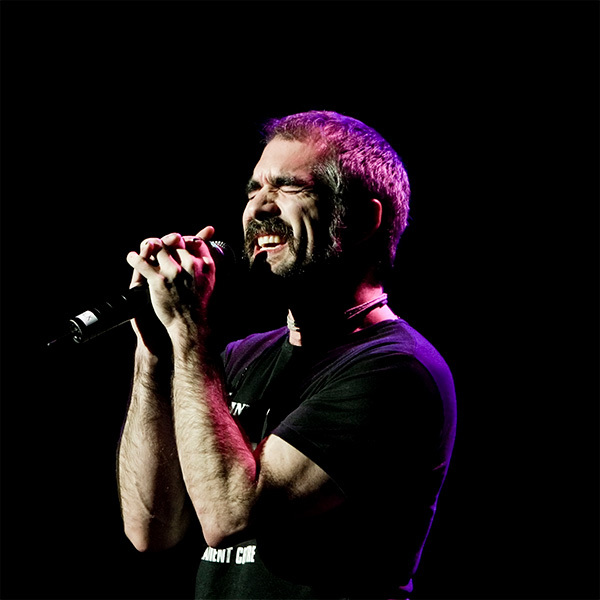 Born in New York City, Irwin Thomas (Jack Jones) became a household name in in Australia as a multi – platinum selling artist in 90’s band Southern Sons as lead singer/guitarist. In 2000 Irwin released Mudhead, a Band project with Bass Player Gary Beers from INXS. In 2002 Irwin reclaimed his name with the release of his first solo offering entitled The Evolution of Irwin Thomas which was HMV’s Album of the Year! He has opened for or supported Matchbox Twenty, Whitesnake, Judas Priest, Spandau Ballet, Tears For Fears and Alice Cooper to name a few! Irwin is a founding member of iconic Melbourne Rock Band Electric Mary and in 2008 they were a finalist in the Music Oz Awards nominated for Best Rock Band. He has played U.S. Showcases in L.A. & N.Y.C. ‘Experience PRS’ for PRS Guitars with Carlos Santana, Dweezil Zappa and Buddy Guy. Most recently Irwin has been working with Australian singer /songwriter Aaron Hendra (John Farnham) and has been recording and touring with AHP. Irwin has a long association with Producers Phil Bathols & Tim Woods playing in the original WHITE ALBUM Tour, several LET IT BE Tours, All You Need is Love and Beatles BACK2BACK. The common denominator in these tours is the extraordinary talent that is Irwin Thomas aka Jack Jones! An amazing career that spans decades and continents and the journey continues! Quoted as being “one of our premier singer-songwriters”, which is a sentiment echoed by many media outlets, radio, industry, peers and fans alike – Kevin Mitchell has grown up in the Australian music spotlight. Forming what would become a seminal Australian band in Jebediah, at age 16 the four-piece outfit secured a spot on the massive Summersault Festival after only 13 shows. Within a year of this festival Jebediah had gone from a tiny band out of Perth, Western Australia to a household name. They penetrated the radio and TV waves with their unique punk sound, featuring Kevin’s distinct voice and larrikin style video clips, solidifying them as the fun loving darlings of Australian music and gracing stages with major international acts. Unbeknownst to many, the lead singer was also busy writing pure pop tunes with a country tinge; exuding the stories of growing up in suburban Australia. As Jebediah was busy racing up the charts and going gold and soon after, platinum, the seeds of what would become Kevin’s solo project, Bob Evans, had sprouted. After 4 studio albums, numerous nominations, awards and accolades and 9 years of touring the world putting Australian punk on the map with Jebediah, it was time to take a punt on these solo creations. Bob Evans’ debut album may have quietly slipped into the marketplace while Kevin was still busy with Jebediah but it didn’t go completely unnoticed. A record label and devoted fans caught wind of the wonder of these heart-warming tunes and with that starting support, it wasn’t until the second album, Suburban Songbook, that Kevin truly landed rewards of glowing praise and elevated his existing recognition as a top songwriter. A brand new Jebediah album in 2011, Kosciuszko, kept Kevin very busy. Undertaking a massive 6-month Australian touring schedule filled with sold out shows, Kosciuszko hit home with both diehard fans and new listeners. The album debuted at #6 in the ARIA Charts, was Triple J Album of the Week, nominated for an ARIA Award, scored in the Triple J Hottest 100 with the single “She’s Like A Comet”, which also went as high as #1 in the radio charts for weeks, went Gold in sales and took home a WAMi. 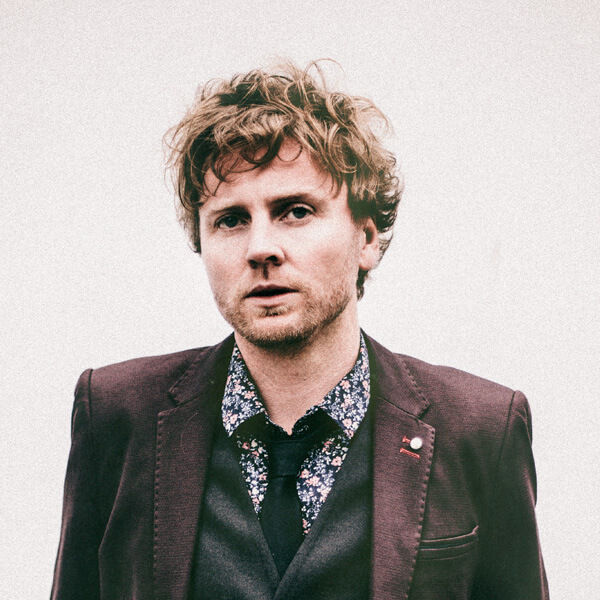 In 2013 Mitchell released the fourth Bob Evans album “Familiar Stranger” showcasing a progressive pop sound including gems ‘Don’t Wanna Grow Up Anymore’ and ‘Wonderful You’. Kevin chalked up an enormous number of kilometres around Australia following the critical acclaim for “Familiar Stranger” playing over 55 shows and 2 full tours covering capital cities and numerous regional areas. In 2015 Jebediah celebrated their twentieth anniversary with ‘TWENTY’ – the biggest tour the band had undertaken in some time with a double album of their greatest hits and a national sell-out tour. Bob Evans’ most recent album ‘Car Boot Sale’ – received an ARIA Award Nomination for ‘Best Adult Contemporary’ album and was touted by Rolling Stone Magazine as one of the 50 Best Albums of 2016. 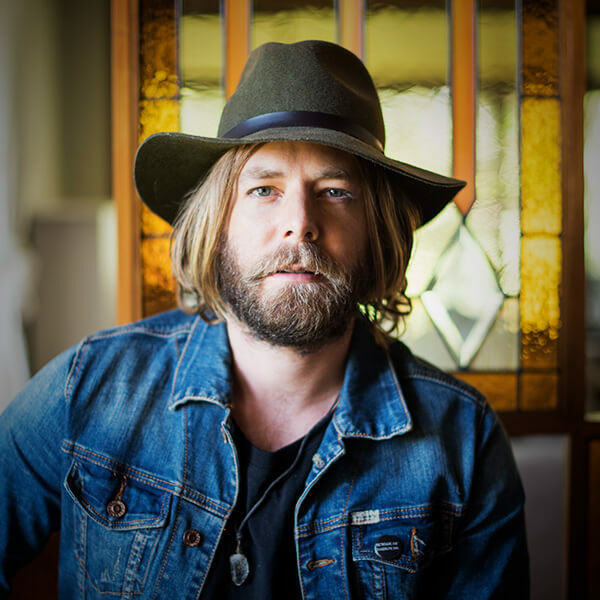 Gracing the Australian music scene for more than two decades, Mitchell has written some of the country’s most beloved songs showcasing the versatility and skill of this talented songsmith. 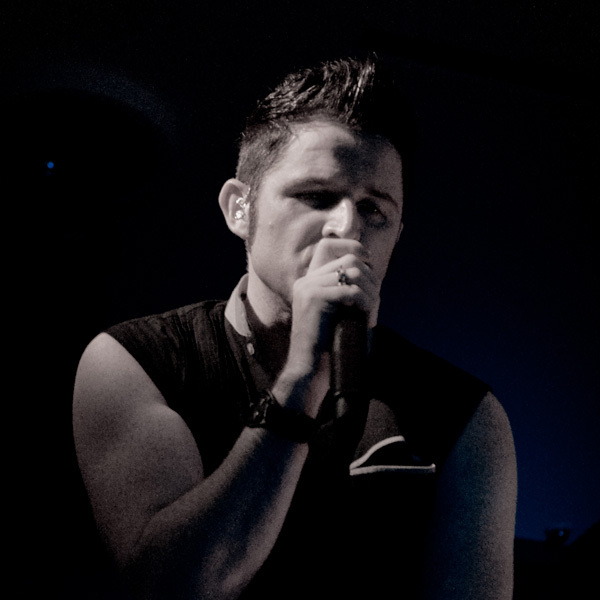 In 2011 CIARAN GRIBBIN made the big move with his family from their hometown of Castledawson in Northern Ireland to Sydney Australia to join INXS as their singer and co-songwriter and has since toured extensively with them to much acclaim throughout South America, Europe and Australia. With the band currently off the road this has given him the opportunity to continue his solo live and recording work and successful songwriting activities. Pre INXS he played countless shows with many artists including Paul McCartney, The Script, Gotye and Paulo Nuttini amongst others. As a songwriter he co-wrote Madonna’s Grammy nominated ‘Celebration’ and also wrote, recorded and produced all of the original songs for the Irish music-based comedy drama movie ‘Killing Bono’ starring Ben Barnes plus music for other movies. He has co-written ‘Hey Baby Doll’, a big on-camera song performed by Al Pacino and produced by Don Was in the new movie ‘Danny Collins’ starring Al Pacino, Annette Benning, Christopher Plummer, Jennifer Garner and Bobby Cannavale. In September 2013 he performed at the ‘Rock In Rio’ music festival followed by a week in Los Angeles for talks and meetings with movie music supervisors and co-songwriters. Ciaran has just signed a new worldwide agreement (excl. ANZ) with the Snow Patrol owned publishing company Polar Patrol Music Ltd.
Music is in Wes’ DNA. International award winning singer songwriter, golden guitar winner and number 1 selling Aria artist. From his humble beginnings as a 14 year old troubadour, gigging in small music venues across the country to sellout stadium performances, Wes has seen it all. He’s a multifaceted instrumentalist, producer, and performer and most at home with a guitar and microphone, stripped back raw and intimate. In 2008 Wes won Australian Idol, his single “You” became a platinum selling Aria number 1 single. His album “The Way the World Looks” stormed the ARIA charts and debuted at number 2. His song “Feels like Woah” then became the most played song on Australian radio and internationally recognised becoming the CBS theme song in the USA. In 2012, craving his troubadour roots, Wes created the independent release “Buffalo Tales” with Jazz royalty and best mate Stu Hunter. It was a solid departure from his rock sound to a more honest intimate creation. Both his EP “Blood and Bone” and album Roadtrip Confessions” reached number 2 on the singer songwriter charts. 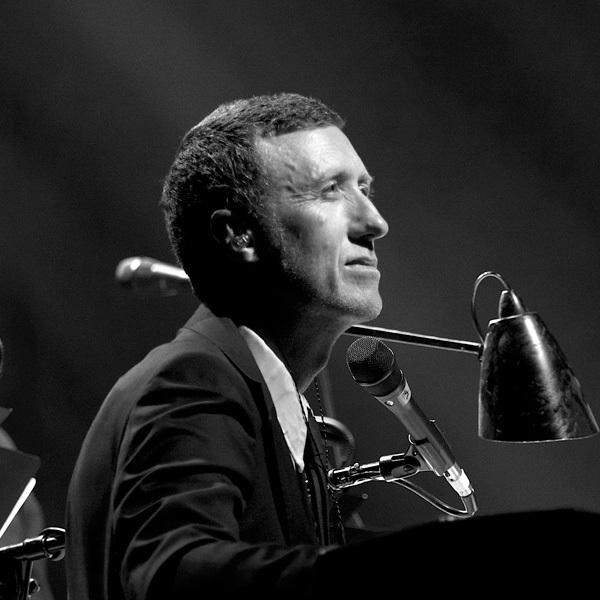 Paul Gray began his musical journey with piano lessons at age 10 and later studied jazz at the Sydney Conservatorium. After high school he formed Wa Wa Nee. As lead singer, songwriter and producer he achieved considerable success in Australasia, Europe and the U.S with hits like ‘Stimulation’ and ‘Sugarfree’ (Top 30 in the U.S). Three albums and touring worldwide covered 1986 till 1991. In the early 90s as a staff songwriter for MCA Music, Los Angeles he wrote and produced various hits for acts such as Cherelle and Five Star and contributed songs to some Hollywood movies. Back in Australia from 1995 Paul has co-written and/or produced records for Tina Arena, Bardot, Scandal’us, Rani, Jon Stevens and C.D.B. He has been Musical Director for Tina Arena since 2000 and toured with Leo Sayer, Kate Ceberano, Rick Astley, Darren Percival, Renee Geyer, Human Nature and many others. He’s delighted to be the M.D for these ‘First Five’ concerts after great experiences MD’ing the ‘All you Need is Love’ shows and playing piano for the ‘White Album’ and ‘Sgt Pepper/Abbey Road’ tours. And getting to sing some of his favourite songs from those early albums makes this show an unforgettable experience. ’The Beatles continue to be THE major musical inspiration for me. I’ve lived and breathed these songs for so long… hearing ‘Michelle’ as a 3 year old was the beginning of a lifelong musical love affair. It’s a dream come true to sing some of these classic tracks with our amazing band. And this new show, focusing on the early recordings, gives us all a timely reminder of their genius’.